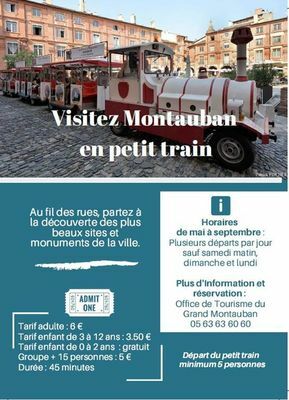 The little tourist train of Montauban invites you to discover the city differently. 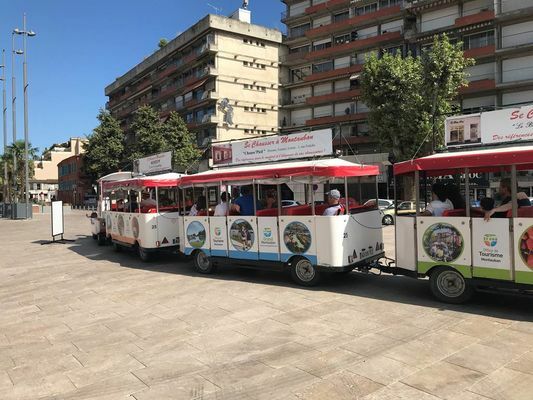 Throughout the streets, go to meet the most beautiful sites and monuments of the city. 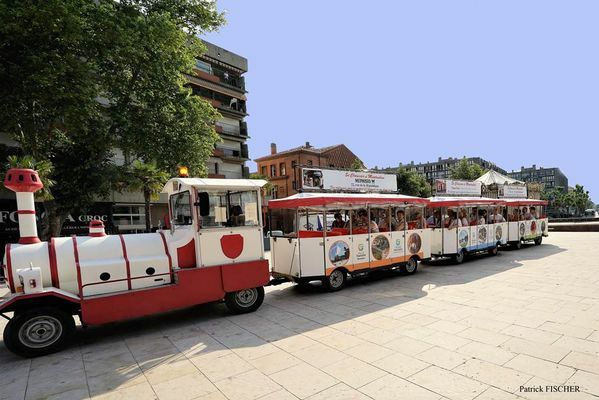 >>> Practical information: Visit with comments available in French. All ages. May to September except Saturday morning, Sunday and Monday. Several departures per day / Departure of the small train minimum 5 people. 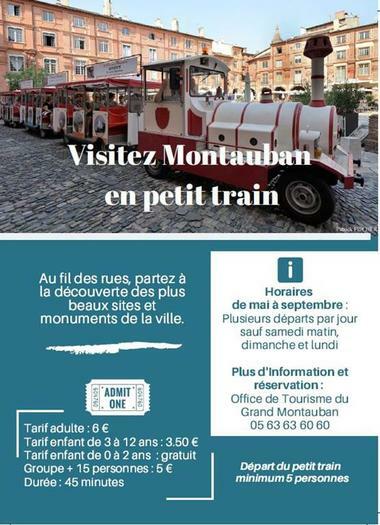 Information and reservations at the Tourist Office Grand Montauban.